Swivel thumb and key chain design and fashionable style. Excellent quality, easy to use, no need extra software to drive it,only plug in. USB version 3.0, 2.0 and 1.1. Solid red is power on, blinking red is Data reading or writing. 3. Actual capacity of 32GB: approximately 29GB. 4. To get best performance for Read / Write speeds, please connect USB 3.0 flash drive to USB 3.0 port. At Joiot, we believe in our products.That's why we back them all with an 18-month warranty and provide friendly, easy-to-reach support. 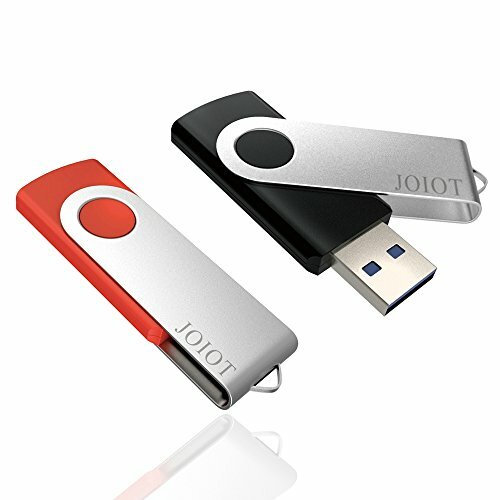 What You Get: 2 pack Joiot 32GB USB 3.0 Flash drive, 2 lanyards, 18-month warranty and friendly customer service. If you have any questions about this product by JOIOT, contact us by completing and submitting the form below. If you are looking for a specif part number, please include it with your message.